I was excited by the prospect of this film but I hadn’t attempted to read much about it before the screening. Mani Ratnam is acknowledged as one of the innovators of popular Indian cinema, helping to transform Tamil cinema in the 1980s and early 1990s and then moving into Hindi films or dual language versions of the same script. His last (Tamil) film was not released in the UK and his recent films made in Hindi or both Hindi and Tamil did not really work as well as his earlier purely Tamil films. I was delighted then to recognise quite quickly that OK Kanmani is in many ways an updated version of one of my favourite Ratnam Tamil films, Alaipayuthey (2001). I read later that Ratnam deliberately opted for the update to explore what he saw as changes in attitudes towards marriage in India. In Alaipayuthey the young man is a recently graduated software engineer setting up a new company with classmates. He comes from a wealthy family but at a friend’s wedding he meets a young woman, a medical student from a middle-class family. Their parents refuse permission to marry because of the class difference so they marry secretly and inevitably things go wrong before a happy ending to what is a romance/family melodrama set in Chennai. In OK Kanmani, the young man Adi is a talented computer games designer who arrives in Mumbai from Chennai to work on a new job with friends from the Tamil community. He meets Thara, an architectural ‘intern’ living in a ladies’ hostel. Again they meet at a wedding (a Christian Tamil wedding). The class positions this time are reversed, Adi is middle-class, Thara comes from a very wealthy family in Coimbatore (the rapidly developing second city of Tamil Nadu). Though they are clearly very much in love, neither wants to marry yet. Since both are away from home they are able to consummate their relationship outside marriage without their parents’ knowledge. They must then decide if they want a ‘live-in’ relationship and not a secret marriage. This is the big change between the two films. As well as this central relationship, Ratnam offers us a long-term marriage, possibly as a comparison or ‘test’ for the younger lovers. Adi is lucky that he is able to rent a room in the spacious house of his brother’s ex-boss, the retired banker Ganapathay. The banker has retired to look after his wife Bhavani, a former singing star of Carnatic music who has developed early stage Alzheimer’s. If Adi and Thara are going to live together in Ganapathay’s house they need to persuade the couple. Inevitably though it is going to be difficult to prevent Adi’s brother and sister-in-law from discovering what is happening. As one comment I read pointed out the brother’s marriage is conventional for the 1990s, thus Mani Ratnam can present three relationships across the decades when the brother and his family make a surprise visit. Adi and Thara’s relationship is contingent on their separate career ambitions. In particular she wants to go to Paris to study further and he knows his talent can take him to North America. How will the relationship survive these potentially conflicting ambitions? Neither wants to marry but marriage is a convention of Indian film narratives as well as Indian society generally. In ‘updating’ the earlier story Mani Ratnam has made some interesting decisions. He’s returned to work with cinematographer P. C. Sreeram who lensed Alaipayuthey and earlier Ratnam classics with long-term collaborator film editor A. Sreekar Prasad. Also, I understand that the film uses a great deal of live sound – it was certainly noticeable that the dialogue seemed both more spontaneous and more ‘natural’ than the booming dialogue of mainstream Indian cinema. Reading round the film I also discovered that much of what was meant to be Mumbai was actually Chennai. Ahmedabad is one of the cities visited by Thara for its architectural qualities. but it also provided more generic locations. So, Mumbai here is less a city of tourist sites and more a generic urban space excitingly filmed. To add to this sense of the ‘urban’, Ratnam starts the film with a sequence from a videogame. Later we will realise that this is ‘Mumbai 2.0’ the game (presumably in a ‘Grand Theft Auto’ style?) that Adi is developing. Further game sequences including an animated sequence feature later in the film. The music is by maestro A. R. Rahman. I enjoyed the soundtrack in the film but nothing stood out immediately. I’m now listening to the tracks on YouTube and getting more into them. In the clip below (sung by Karthik and Shashaa Tirupati) the lovers are together in a lodge in Ahmedebad – one of the few scenes that aren’t primarily ‘realist’. The song begins with Adi using music software on his iPad and a Bluetooth speaker. This is one of many examples of modern phone and computer technology woven into the narrative. The film succeeds for me mainly because of the cast. Dulquer Salmaan (Adi), younger son of Malayalam cinema icon Mammootty, is very good with his rather annoying and cocky manner which is easily dealt with by Nitya Menen as Thara. The two work very well together and I found Nitya Menen delightful as an intelligent young woman who is very attractive but not a Bollywood fantasy woman. This couple is matched by veteran Prakash Raj as Ganapathay and Leela Samson as Bhavani. Leela Samson is a highly experienced dancer but this is her first film feature. She steals many of her scenes. Ratnam’s skill is to use her character’s Alzheimer’s in such a way that we realise its serious implications yet she can also be the deflater of serious moments. I won’t spoil the narrative but I agree with those commentators who see the older couple’s intense love as an important element of the film. At this point it seems that OK Kanmani is a big hit with the public in South India and abroad in North America. There isn’t a Hindi version but a Telugu version was released at the same time as the Tamil. Nitya Menen has appeared in earlier Telugu films. Some of the younger critics in India and especially those most interested in the new ‘independent’ Indian cinema have criticised OK Kanmani for its lack of adventure in its depiction of the city and for its weak ending. I’ll agree with this last point, the narrative ‘resolution’ was a disappointment for me but that doesn’t negate the sheer pleasure I got from most of the film. This is a mainstream romance and most audiences will thoroughly enjoy it on that basis. My faith in Mani Ratnam remains. Sugan (Karthi) and Priyanka (Hansika Motwani). Parasu (Premgi Amaren) is in the background. In the last couple of years the UK exhibitor Cineworld has expanded its releases of Tamil films beyond London, showing them in areas like Bradford where the local South Asian languages are more likely to be Urdu, Punjabi or Bangla. Previously I have had to watch major Tamil films in Hindi dubs in local multiplexes but now there are Tamil releases – but usually only showing once nightly and too late for public transport. Biriyani therefore marks a change – a major Tamil release which has matched the screening schedules of Hindi releases, showing several times a day for the first couple of weeks. Since much of my experience of Tamil cinema has been with the acclaimed films of Mani Ratnam/Rajiv Menon or Shankar, I was keen to see something more solidly mainstream. Biriyani is a major production directed by Venkat Prabhu and starring Karthi. Like blockbuster productions in other industries, the film has been trailed for over a year and then subject to various changes of release date (releases are often timed for religious holidays). Shooting was extended over many weeks in Chennai and elsewhere in Tamil Nadu as well as in Hyderabad. The film was finally released in December 2013 on over 1,000 screens ‘worldwide’ in both Tamil and Telugu versions. The two central characters are Sugan (Karthi) and Parasu, two bright graduates in Chennai. One is very successful with women, the other is not. Their actual employment details are unclear but the plot sees them helping to launch a new motor dealership (lots of product placement for Mahindra). This involves Sugan upstaging his on-off girlfriend, a local TV reporter and impressing a local business tycoon with the help of Parasu’s IT skills. Later, the two men, who are fond of a drink, find themselves at a biriyani food outlet on the highway where they meet a femme fatale, Maya. They awake the next morning to find a corpse in their car. How did it get there? What have they done? Why are they being chased by the police? The film actually starts with a flashback from the point where the central pair are being chased by the police. This takes us to the Intermission (in a film lasting 149 mins) and the second half provides the climax and an explanation of the mystery. This is a mainstream masala movie structured as a ‘buddy movie’ involving a murder mystery, film noir, action, romance and comedy. ‘Romance’ is perhaps the weakest element and more emphasis is placed on action and (black) comedy – the film has had some censorship difficulties because of the violence levels. I was surprised by the extent of the drinking and this was first Indian feature I’ve seen with the frequent on-screen warnings about excessive alcohol use (rather like the warnings on cigarette packets). I was also a little surprised by the more ‘open’ acknowledgement of sexual activity between some of the characters – i.e. in this kind of mainstream blockbuster. Overall, I felt that while the film shared the same ingredients as mainstream Hindi blockbusters, there was a real difference in how these ingredients were used by the filmmakers. In my limited experience, Tamil films are sometimes more adventurous in their camerawork and use of effects – and, at the same time, somehow more ‘realist’, more ‘connected’ to local culture than their Hindi counterparts. Biriyani demonstrates this with a startling array of devices including motion capture, animation, references to social media technologies etc. The central characters are seemingly more wealthy than most of their audience given their lifestyle, but even so they don’t seem so divorced from mainstream Tamil culture. I was struck in the second half of the film how the plot developed so that a whole network of friends came to the aid of the central character played by Karthi – rather in the way of the group in a ‘new Bollywood’ film like Rang De Basanti. One scene in particular highlighted the overall difference between Biriyani and many Hindi films. This was a song and dance sequence which appeared in the middle of a chase and involved a flash mob dancing on the platform of a Chennai railway station. I need to see the sequence again but as I understand it, it provided a new clue in unravelling the mystery, a different pleasure in enjoying the song and dance performance and a tribute to a local star (the object of the flash mob). All this gave the impression of being seamlessly shot in a public place with passengers looking on. Overall, I found the film entertaining even if I didn’t enjoy most of the drinking and sexist jokes. I can see that some audiences would find the film too ‘tricksy’ in the way the plot is handled re the mystery (which also involves a supposed corruption investigation). The script cleverly uses references to the Hollywood hit comedy Hangover and also seeds clues and ‘pre-echoes’ of what might happen later, almost like a Hitchcock thriller. The film has a soundtrack composed by the prolific Yuvan Shankar Raja, youngest son of the legendary Ilaiyaraaja. I’m not in a good position to judge but it seemed good to me. I’m pleased that Tamil cinema is getting a bigger profile in the UK but because the industry does not yet publish data on budgets, box office etc. in the same way as Hindi cinema, the industry does not have the profile it deserves in the international market. My own calculations suggest that in terms of films produced and audience numbers, Tamil cinema definitely figures in the international Top 10. There are something like 80 million Tamil speakers worldwide and in India the Tamil industry is well supported. Chennai rivals Mumbai as a production centre. Actors and filmmakers move frequently between the various South Indian cinemas and also into Hindi and other Northern industries. In Biriyani, the two female leads are both from outside Tamil Nadu. Hansika Motwani is a Sindhi speaker born in Mumbai and Mandy Takhar who plays the femme fatale is ‘Punjabi-British’ and from Wolverhampton. If you haven’t seen a Tamil film, now is your chance to experience a different popular Indian film. I could have gone to see Dhoom 3, but I think I made the right choice. Remakes are a way of life in the popular Indian film industries. Hollywood is always a source of ideas as well as films from other major industries – ‘unofficial remakes’ – but the main traffic in remakes is between the different language cinemas. Many titles are made in one language and then simply dubbed into one or more others. Sometimes films are made in two languages almost simultaneously by the same director – most famously by Mani Ratnam with Raavan/Raavanan (2010) and Yuva/Ayitha Ezhuthu 2004 – in each case a Hindi and a Tamil production with different casting. Most common , however, is the simple remake of say a Malayalam film as a Tamil production or a Telugu film as a Hindi production. Nanban is one of the major Tamil films of the year, a blockbuster aiming at the religious festival period which includes Pongal and lasts from 13-16 January. Nanban is a remake, but not just any remake. It is the official Tamil remake of one of the biggest-selling Bollywood titles of all time, 3 Idiots (2009) starring Amir Khan. To meet this challenge the producers Gemini Film Circuit hired Shankar, the successful director of the last two blockbusters from Superstar Rajnikanth, Sivaji and Endhiran. In my posting on 3 Idiots I expressed my disappointment in the failure of screenwriter Abhijat Joshi and director Rajkumar Hirani to properly represent the satire on the education system offered by the novel Five Point Someone by Chetan Bhagat. The bad news is that Nanban uses the Joshi/Hirani script almost to the letter and therefore suffers from the same problems associated with changes in character roles and insertion of comedy routines at the expense of satire and observation about higher education in India. The good news, from my perspective, is that Nanban is even more enjoyable on its own terms and is arguably a ‘better’ film – whatever that means. I’m prejudiced because I tend to prefer Tamil films to Bollywood. It isn’t a fair comparison I know because I’ve only seen the best of Tamil Cinema and I suspect that the routine mainstream Tamil features are not quite the same. 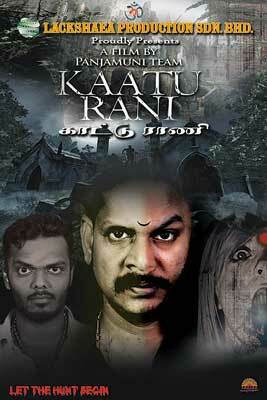 The problem has been that we simply don’t get the UK Tamil releases up here in West Yorkshire. But for some reason, Cineworld decided this year to screen two Tamil films in their original language during the January festival season in Bradford. Usually we have to make do with a Hindi version (e.g. of Raavan and Robot – the Hindi dub of Endhiran). I’m guessing that there are very few Tamil speakers in Leeds/Bradford – a few hundred at most – whereas there are many thousands of Urdu/Hindi speakers. The question is, how many of the Urdu/Hindi speakers in the South Asian diaspora want to read English subtitles in order to access a Tamil film? I don’t know, but in the afternoon showing of Nanban there were just three people in the audience, one of whom might have been a Tamil speaker. I should stress that Nanban has done very well in the UK. Over the opening weekend it took £113,000 from just 24 prints (across the UK – see locations here) with a screen average of over £4,700 for No. 13 in the chart – and all this from a new independent distributor ‘RJ Overseas’. I wonder what they will make of the experiment? I hope it continues. 1. The casting offers four younger actors for the ‘3 idiots’ and the principal’s daughter. It’s interesting that the production used two Tamil actors, Srikanth and Jeeva, who closely resemble Madhavan (once himself a Tamil star) and Sharman Joshi. Vijay, very much a rising star in Tamil Nadu, takes the Aamir Khan role and Ileana D’Cruz takes the Kareena Kapoor role. All four were believable as both students in their early twenties and successful young thirty somethings. I was amazed to discover that Vijay was actually 36 when he made the film – even so, he’s eight years younger than Aamir Khan. The problem with the Bollywood version is not just that the stars are too old but that they are also so identifiable with a specific star persona. This is probably true of the Tamil stars too. I don’t know the Tamil star image, but the actors seemed to give performances less marked in this way. 2. Although the script sticks closely to 3 Idiots, the songs and their ‘picturisation’ are quite different. Shankar pulls out all the stops with shoots in Europe and the Andaman Islands. The songs themselves by Harris Jayaraj weren’t particularly memorable for me – but some of the lyrics (all of which were translated in the English subs) are extraordinary. One song includes the word ‘love’ sung in several different languages. Costumes, settings and camerawork work well together and the other feature of the film’s presentation is the use of animated inserts and visual effects – from companies in Hyderabad and Shanghai. 3. This is a bit more tricky. As a broad generalisation I would say that Nanban offers something closer to a representation of a ‘real India’. This is partly achieved through location shooting (the main location is a college in Tamil Nadu and Simla in the earlier film is replaced by Ootacamund and Coimbatore) and partly through casting. The minor characters root the film in the South. Many characters are darker-skinned and Dravidian in appearance. But . . . there seems to be an aversion to using darker-skinned young women for the dance sequences and on reflection I do think Shankar could be charged with a potentially racist portrayal of the sister of one of the three (i.e. the young man from a poor background). Both my viewing colleague and I winced at the portrayal of this young woman (the ‘joke’ is that no-one will marry her because she is ‘ugly’ – and ‘too dark’?). See a local response, arguing this point strongly. I’m reminded of the similar wince-inducing representations in the UK production, East is East (UK 2002). On the whole, I enjoyed the film very much despite its failure to develop a strong satire and I was particularly impressed with Vijay. Even though I could predict every scene, I was entertained for the whole three hours and towards the end I was ridiculously moved by the very sentimental take on friendship – but then, I find it hard not to cry in Hollywood films sometimes. Much of my initial interest in 3 Idiots was focused on how the film would perform internationally. Nanban hasn’t got quite the same level of initial international exposure, though it is out in North America, UK and Australia as well as Singapore and Malaysia. It may eventually find its way to South Korea and other parts of East Asia. 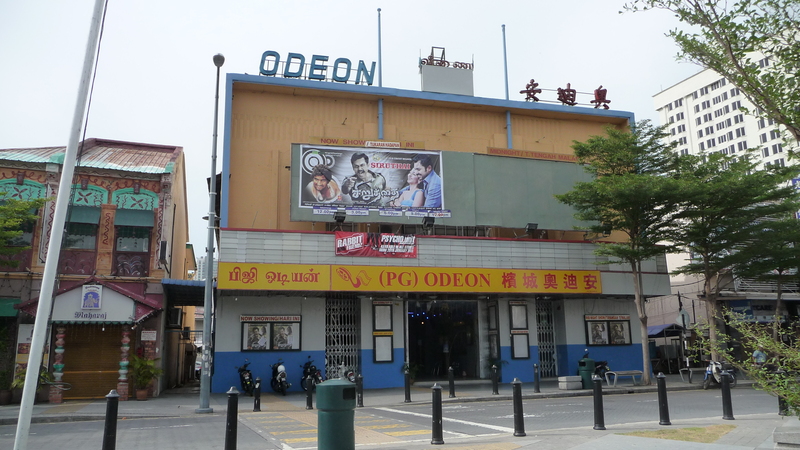 Unfortunately it has already suffered quite badly from piracy – though most cinemas in Chennai were completely sold out for the first five days before the film actually opened. A Telugu dubbed version opens in Andhra Pradesh on 26 January (some of the Tamil stars have a following in Telugu Cinema).